I have a confession. I could eat nothing but appetizers for the rest of my life. Well, appetizers and desserts of course. No matter what they’re called, hors d’oeuvres or snacks, starters or small plates, they’re delicious and so much fun to eat. 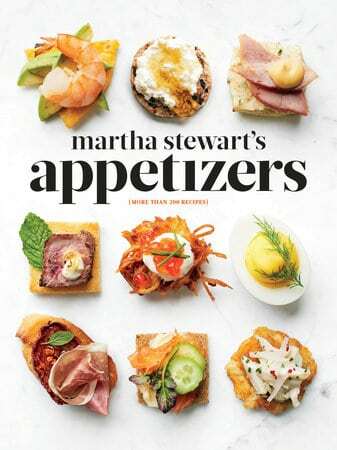 Martha Stewart’s Appetizers is a visual delight. Each recipe has a crisp, colorful photo in signature Martha-style with a minimum of fuss in the background. The book also has me convinced I need to go buy a deep fryer. I want to fry Buffalo wings and serve them with more wings, like tandoori chicken wings and miso-honey wings. Mini chicken flautas also require frying. The recipes are written clearly. Our only beef is with a recipe for hot artichoke dip, which references mayonnaise in the head notes but doesn’t have mayonnaise listed in the recipe. Appetizers is for any cook heading into the holiday season tired of trotting out the same cocktail meatballs or olive cheddar balls every time they entertain. The most genius recipe? Cherry Tomato BLT’s, which are just how they sound. Cherry tomatoes stuffed with diced bacon, shredded lettuce and mayo. I was a teensy bit disappointed with the Sips portion of the book, which seems crammed into the back as an afterthought. Perhaps if the 30 cocktail recipes weren’t crowded onto little more than a handful of pages? 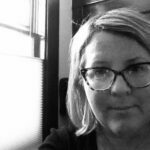 The recipes were formatted quite tightly, to take up no more than a few inches of a magazine column, in contrast with the rest of the book, which seemed to be laid out as though space were not an issue. What’s your go-to appetizer to make? I received a copy of this book to review from Blogging for Books.